This is a pair of goth inspired earrings. 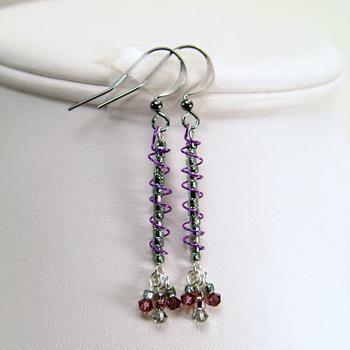 They are 1 1/4" long and have a purple wrap wire around the grey black beads. dangling from the bottom there are 3 Austrian crystals. Gun metal shepherd hooks complete this design.